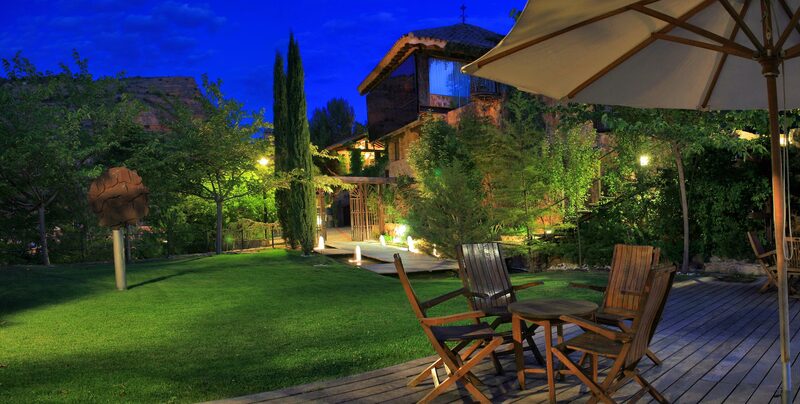 Located in an exceptional natural setting, just an hour and a quarter from Madrid. 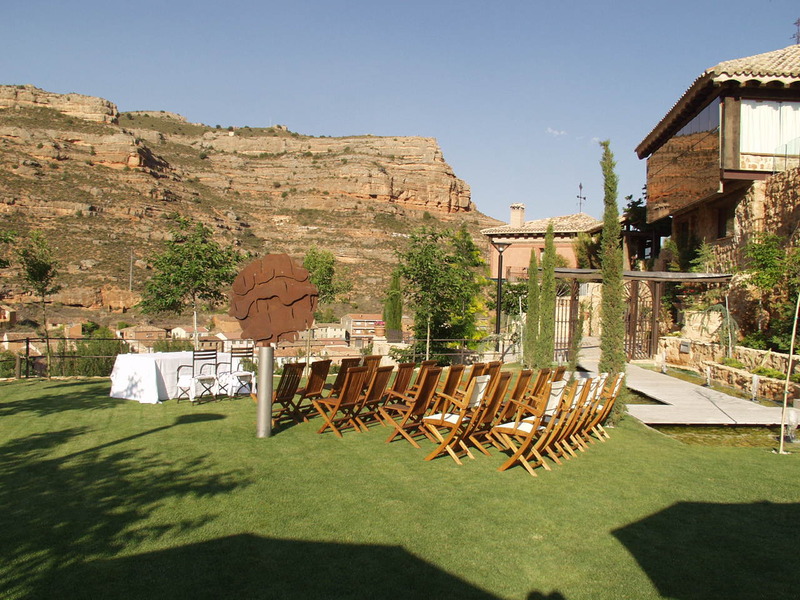 Located in the heart of Soria, the town of Somaén is in the midst of argillaceous rocky areas reminiscent of a small version of the Colorado Canyon. Somaén, from its privileged position in the middle of a meander of the river Jalón and surrounded by high hills, extends over the Soriano landscape a view of red houses that are located at the foot of its two eternal lookouts: the castle of the XI century and its ally in the sky, the black vulture. And the more arid Soria, turns green in this protected corner, in a landscape that smells of thyme and rosemary. 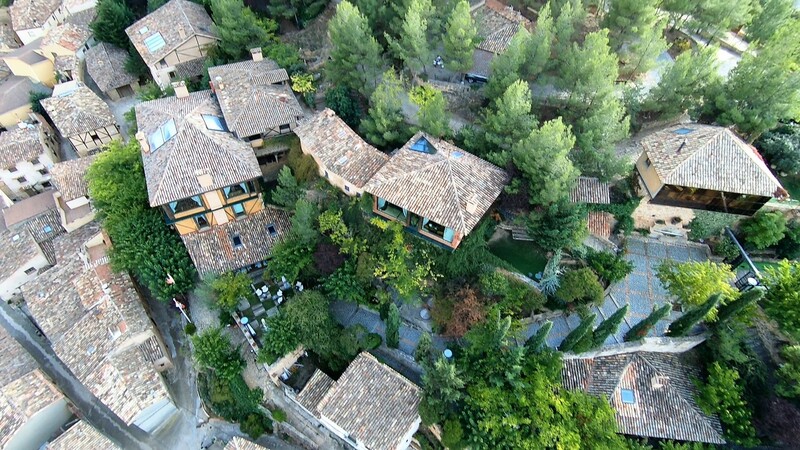 In the upper part of the village of Somaén, where our charming hotel is located, rehabilitation has taken place in recent years. Coquettish stone streets lead to restored or new houses, where the beauty of traditional materials – stone, brickwork and old wood – has been designed with modern elements. All of them give the whole an old air loaded with good taste. The route leads to the summit of the village where the castle is built, built by the Count of Medinaceli around 1400. It has also been rehabilitated and forms part of the Castle of Somaen. 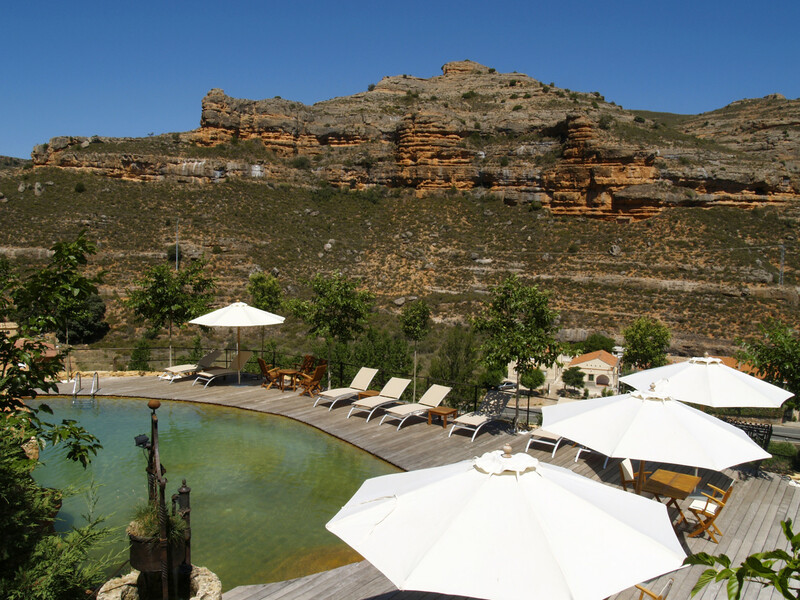 In our rural luxury hotel you can enjoy a beautiful landscape and an unbeatable tranquility. In the Castle of Somaén, a romantic hotel full of details that make the stay of our guests an unforgettable experience. Committed to service excellence, our charming hotel has a team of professionals who provide a warm welcome to guests, making their experience unique and unforgettable. 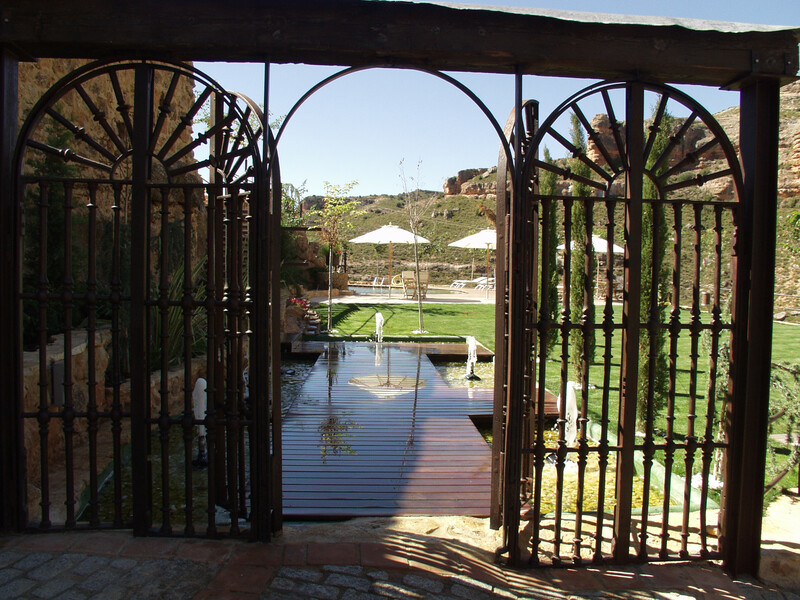 Welcome to Somaen Castle, a charming hotel with 12 luxury rooms. 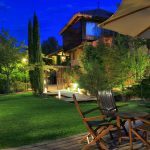 The hotel enjoys a privileged location in an exceptional natural setting, located in the upper part of the village of Somaén which enjoys better views over the river Jalón. The Castle of Somaén was built in 2002 and is composed of a s. XVIII and a Castle of the s.XI cataloged National Monument of Spain. Committed to excellence in service, our charming hotel has a team of professionals who provide a warm welcome to guests, making their experience unique and memorable. There are two main rooms in the Hotel; one in the eighteenth century house and another in the castle. Each one has 200 m2 with a spectacular covered with central pendolón and large windows on the vega, You can make meetings or corporate events in both halls as well as in the dining room of the main building that has a capacity of 40 people. 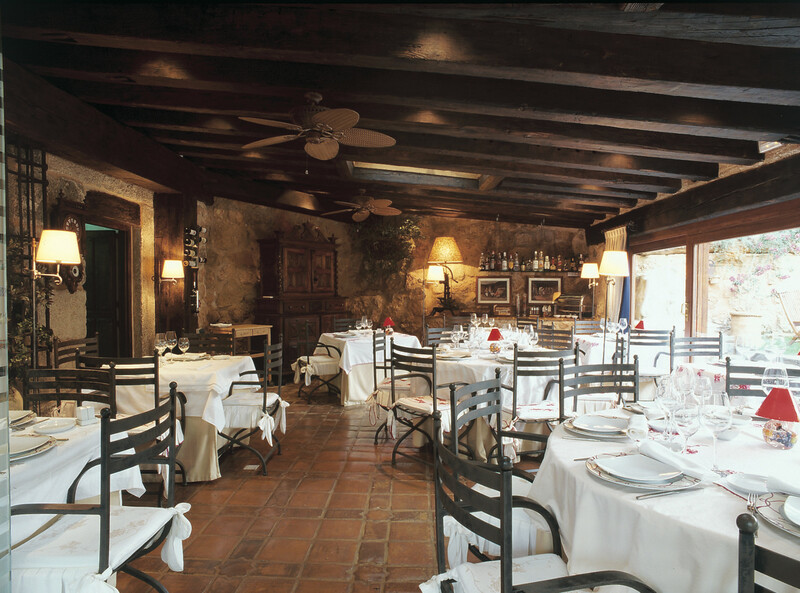 The Hotel’s restaurant is the traditional meeting place of Somaén. In a delicate environment with natural light and careful decoration, you can enjoy a splendid breakfast, lunch and international dinner with the most exquisite variety of local products, presented with the mastery of international culinary techniques, in addition, we open to the public for meals on weekends. It is of the overflow type so the edge of the water ends right where the IPE tropical wood flooring that surrounds it is located. On one of its sides is bordered by a rocky cliff of large rocks that cascade water falls between plants. Guests can enjoy moments, fun and memorable, playing in pairs or with friends to games of billiards in the tower of the Castle. We are committed to excellence in service. Copy the Promo Code, use it when you confirm your reservation and get an exclusive 5% discount for booking on the Official Website.